CHICAGO, IL--(Marketwired - Mar 14, 2014) - 360 CHICAGO (formerly John Hancock Observatory) is pleased to announce an epic new attraction that will forever change the way visitors see Chicago. TILT debuts this spring, providing the ultimate window to the Windy City. A one-of-a-kind experience, TILT is an enclosed, glass and steel moveable platform that holds up to eight visitors per cycle. Once safely situated inside, the platform slowly tilts outward to an adventurous angle, generating downward-facing views of Chicago -- from one thousand feet above The Magnificent Mile®. TILT gives thrill-seekers an exciting and safe way to take in unsurpassable views of the city, from a never-before-seen angle. "We had a vision for elevating the experience, and providing memories for guests that will last a lifetime," said Patrick Abisseror, CEO of Montparnasse 56 Group, the owner of 360 CHICAGO and the leading operator of observation decks. "TILT is yet another example of the innovative and forward-thinking vision of Montparnasse 56 Group," whose assets include the Observation Deck at Montparnasse Tower in Paris, France and the iconic Berliner Fersehturm/TV Tower in Berlin, Germany. "Chicago has long been a pioneer in architecture. As the birthplace of the skyscraper, Chicago continues to be the leader in innovative architecture and TILT furthers that tradition," said Nichole Williamson, General Manager of 360 CHICAGO. "Visitors to Chicago will soon be able to experience unsurpassable views while in motion on TILT." "Chicago continues to be an international travel destination and I congratulate 360 CHICAGO for ensuring this innovative attraction is in Chicago for both residents and tourists to enjoy," said Mayor Rahm Emanuel. "Since taking office I have been focused on tourism as a key driver of our economy and our tourism is at a record high while we continue to grow. Attractions like TILT will attract thrill seekers from around the world to our city." To make this architectural achievement possible, Montparnasse 56 Group chose Thornton Tomasetti -- an award-winning engineering firm -- to develop TILT. Cupples, a leading high-rise façade specialist, is fabricating and installing. Also are Turner Special Projects as general contractor and Gensler as architect of record. "Bold thinking supported by aggressive strategies is essential to growing visitation to Chicago," said Don Welsh, President and CEO, Choose Chicago. "Chicago is heading in the right direction and at a precipitous pace. As Choose Chicago works to increase annual visitation to Chicago to 55 million by 2020, new and aspirational attractions such as TILT will bolster Chicago's standing among leading global destinations." TILT is located in 360 CHICAGO's south end, allowing guests to experience unique skyline views of Chicago. The cost will be an introductory rate of $5 per experience, plus the cost of general admission to the observatory. Special group rates are also available and reservations made 72 hours in advance are required. TILT tickets can be purchased online or in person at the 360 CHICAGO ticketing desk based on availability. 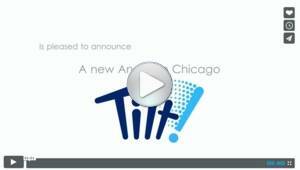 TILT debuts at 360 CHICAGO Spring 2014. Located on the cusp of Lake Michigan, 360 CHICAGO sits in the heart of the city, a thousand feet above The Magnificent Mile®. With unparalleled views of the lake and the city skyline, it delivers a unique perspective of Chicago. Guests can enjoy 360-degree views spanning four states, as well as interactive learning opportunities, all accessed by the fastest elevators in the country. 360 CHICAGO is open every day from 9 a.m. to 11 p.m. (last ticket sold at 10:30 p.m.). 360 CHICAGO is owned and operated by Paris-based Montparnasse 56 Group. More information can be found at www.360chicago.com and on Facebook and Twitter.